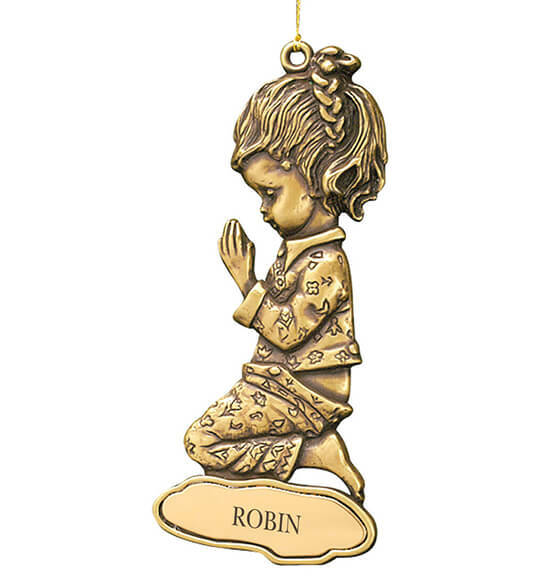 What might this little one be praying for in this personalized Christmas ornament for girls? A bright and peaceful future, we hope. We'll personalize for your favorite girl. Specify name, up to 1 line, 8 letters and spaces. This girl Christmas ornament has a bronze finish. 3 1/2" high.